We’re instructed to train up a child in the way he (or she) should go. Requiring a bit of hard work now and then is the best way I know to facilitate the process. 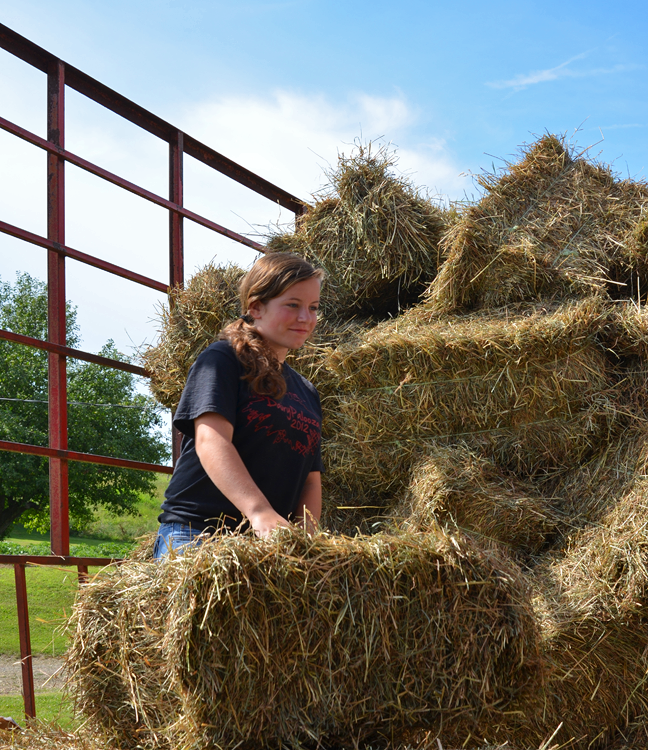 Unloading hay wagons on a sunny, 90-degree day is not an easy task, but it’s a great way to teach a little work ethic. And boy, is there a sense of accomplishment when you’re finished! Do you think so? Maybe. Most likely. Or at the very least, the offenses might not be so serious. Because the thing about hard work — yes, you’re too tired to get into trouble — but no. The thing about hard work is that it teaches you the value of things, people and time. Work teaches us to appreciate what we have, and to work diligently for what we hope to have. It always comes back to one word: respect. We learn and earn respect when we’re willing to get our hands dirty. It’s not only a great concept to model for our kids, it’s a fine thing for them to experience on their own. 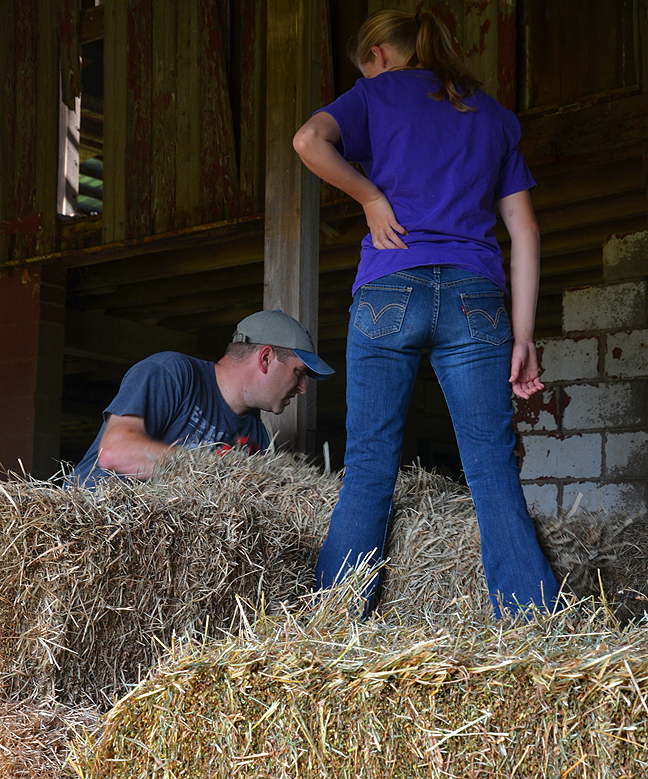 You don’t have to have a hay field to teach the importance of manual labor. But hey, if there’s one nearby I’d be willing to bet the owner would accept offers to help with the haul. And if your kids come home with blistered hands or scratched arms or sore muscles or even a bit of a sunburn (encourage sunscreen, always!) be glad. 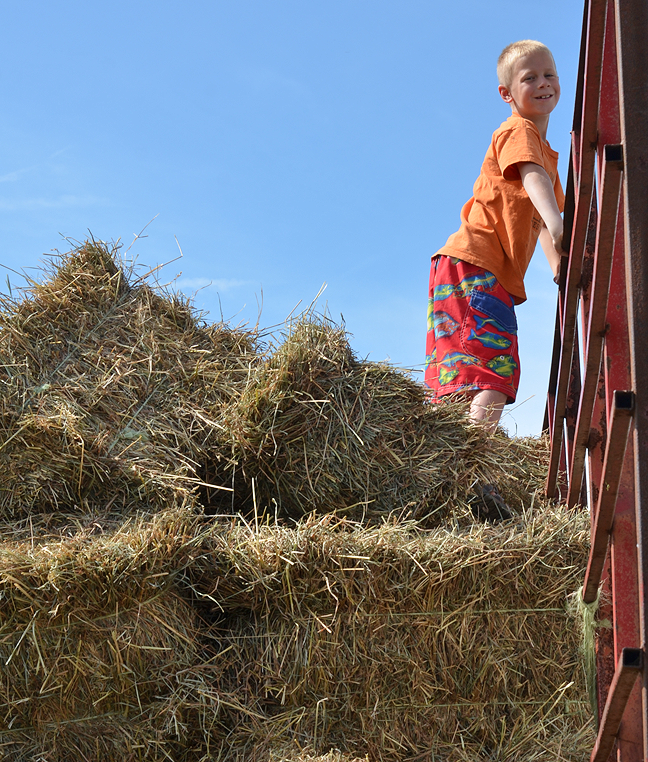 They had opportunity to make hay while the sun shines, and that is a memory — and an annual task — they won’t soon forget!